A silver statement set for you. 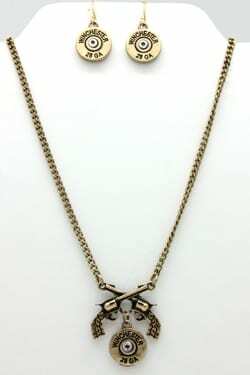 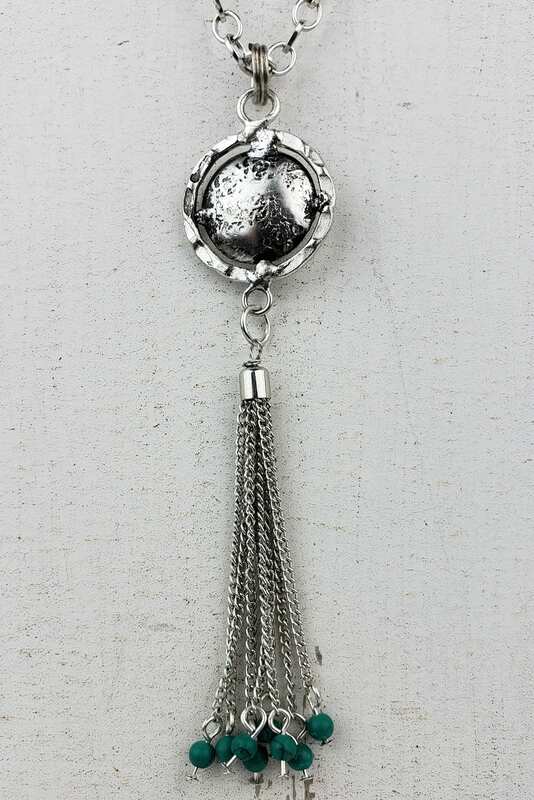 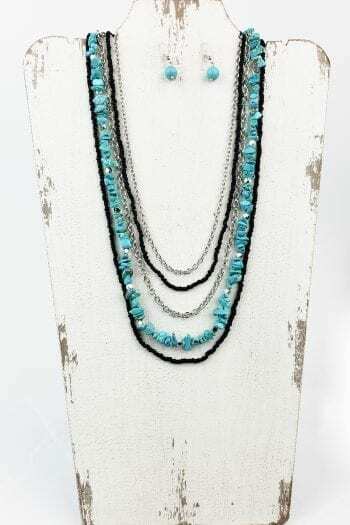 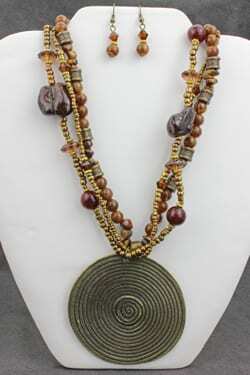 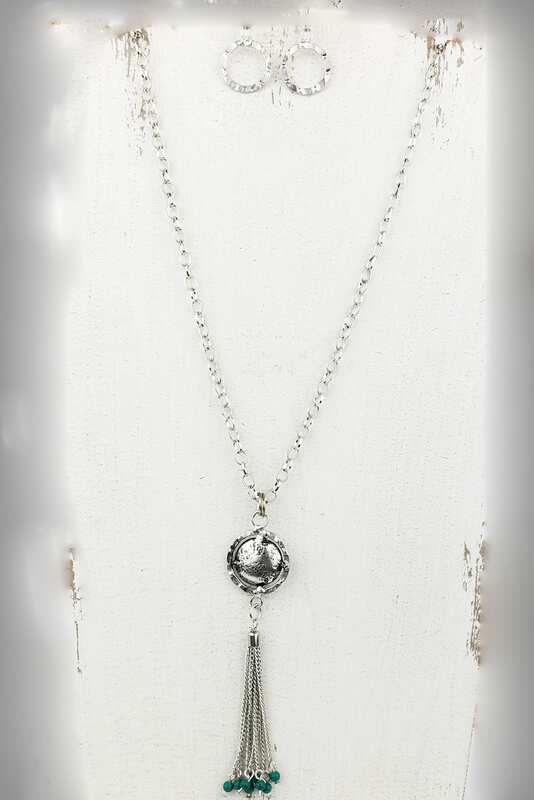 The chain necklace holds a silver pendant adorned by beads of Turquoise. 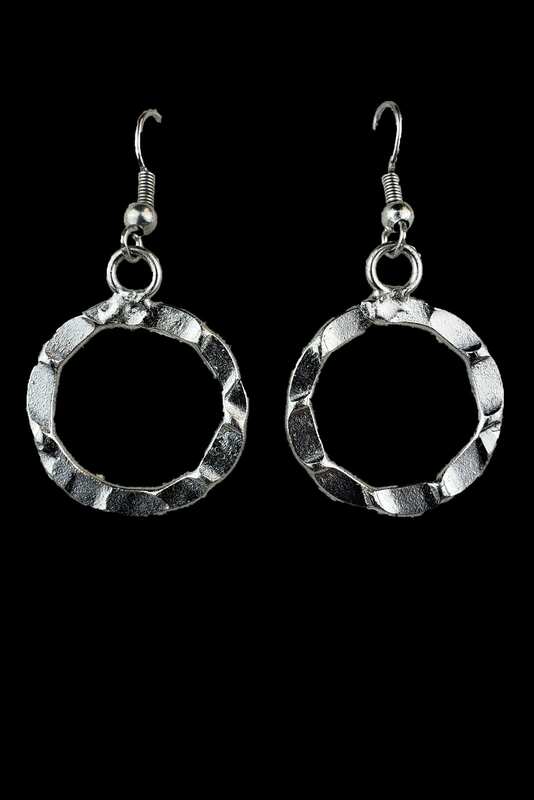 Finish the look with silver circle earrings.